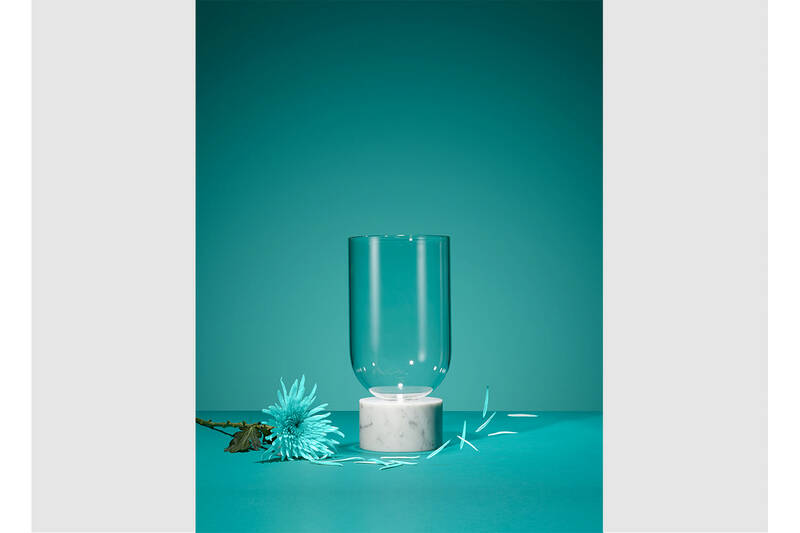 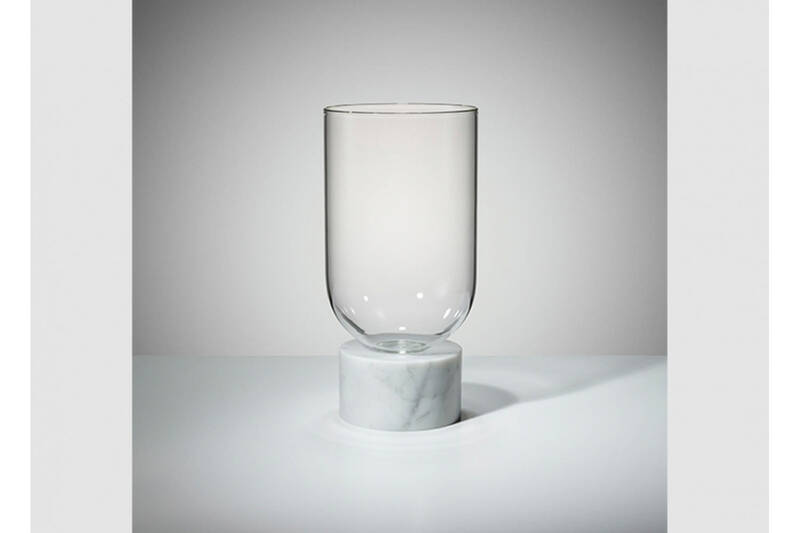 Podium is our collection of vases which play with the sculptural quality of balance. 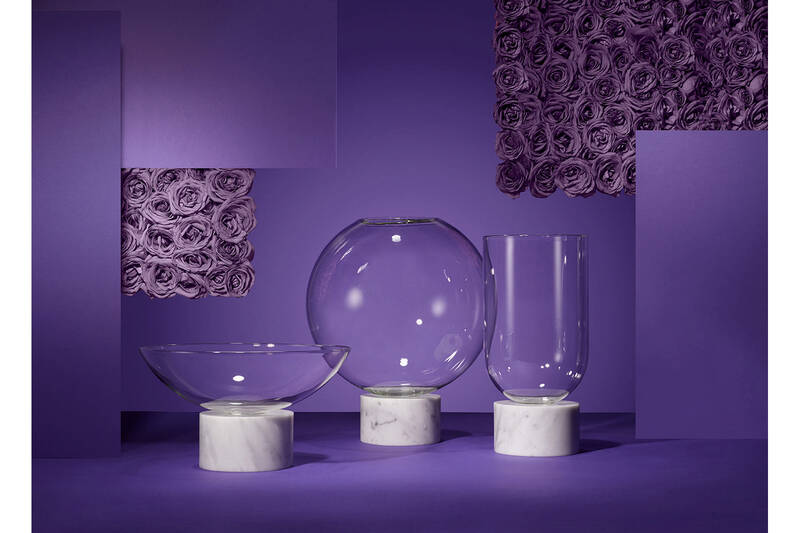 Combining solid marble with transparent glass, they continue Lee Brooms fascination with bringing together opposing materials to create playful yet elegant pieces. 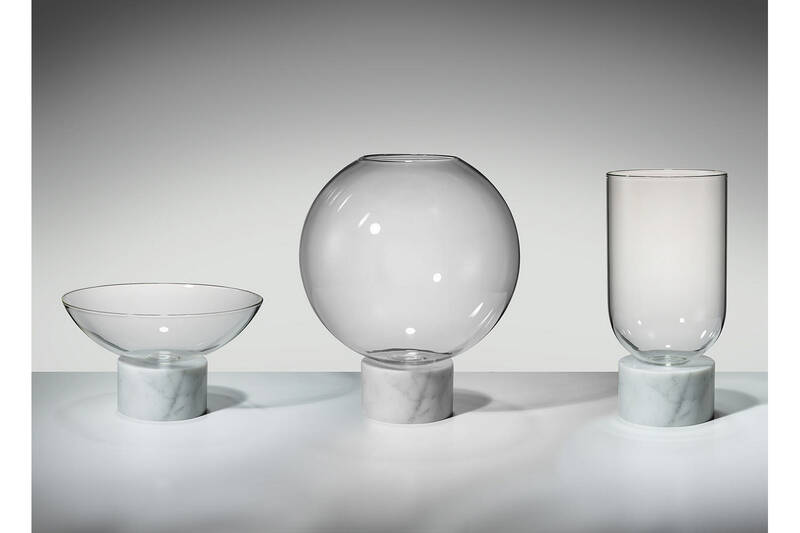 Each of the three glass vessel shapes, globe, bowl and cylinder, are interchangeable between the round Carrara marble and square Marquina marble bases, allowing the components to be selected in any combination desired. 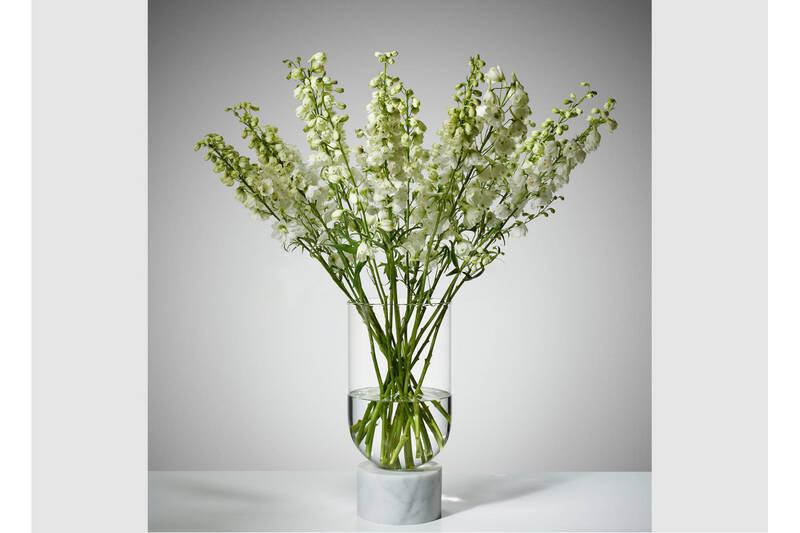 Podium creates an impact whether filled with displays of flowers or left empty as a decorative element of beautiful materiality.